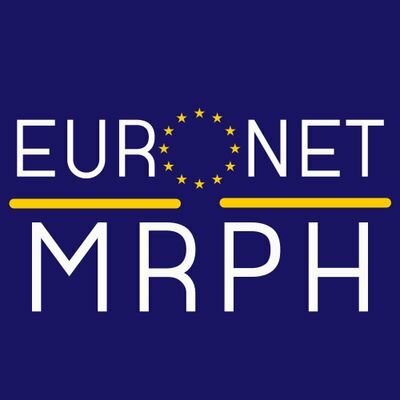 EuroNet MRPH stands for European Network of Medical Residents in Public Health, and constitutes a network of European National associations of Public Health training programs, including medical and non-medical residents. It is a non-profit, international, independent and non-governmental association. EuroNet MRPH aims to create a professional network among European residents in Public Health in order to share information on educational programs, to facilitate exchange and common activities, as well as to develop a body of scientific research. The idea of a network of European associations first emerged in 2008 when French and Italian residents started a collaboration on a qualitative project exploring the satisfaction of residency programs in the two countries by a self-administered questionnaire. The success of this initiative encouraged the residents to continue the collaboration and to extend it to public health residents from other European countries. Spanish residents joined the network in 2009. EuroNet MRPH was officially founded on June 30th, 2011 in Paris by the CliSP (College de Liaison des Internes en Santé Publique) for France, SItI (Società Italiana di Igiene e Medicina Preventiva e Sanità Pubblica) for Italy and ARES (Asociación Española de residentes de medicina preventiva y salud pública) for Spain. SRC (Specialty Registrar’s Committee) of the Faculty of Public Health for the United Kingdom joined the network on November 12th, 2011 in Zaragoza (Spain). It was followed by the APHRI (Association of Public Health Medicine Registrars of Ireland) for Ireland on March 1st, 2014, in London, and HDJZ (Hrvatsko društvo za javno zdravstvo) for Croatia on March 21st, 2015 in Milan (Italy). Losgio (Landelijk Overleg Sociaal-Geneeskundigen in Opleiding) for The Netherlands joined the network on November 20th 2015, during the Barcelona meeting, and OSJZ (Odsek specializantov javneg zdravja pri Sekciji za preventivno medicine) from Slovenia joined on November 26th 2016, during the Dublin meeting. The youngest member is Turkey who joined during the Valencia Meeting, on July 13th 2018. Besides 9 national associations representing resident physicians and trainees in public health, residents whole national associations are not eligible to join the network can apply for individual memberships. EuroNet currently has individual members from three European countries – Bosnia and Herzegovina, Poland and Malta. Click here to know what countries are now part of Euronet MPRH and who represents them. The network is run by National Commissions (NCs) and the Board. It’s operational work is also supported by Leads. NCs are made up of a maximum of six members, representing their own national associations. Members of the NC are chosen according to the rules of their national association. The NCs have full decisional power and are asked to vote on specific issues where each NC will count for one single vote. The Board is made up of four EuroNet MRPH members who assume the roles of President, Vice-president, General Secretary and Treasurer. Board members are chosen by election within EuroNet MRPH for a one-year mandate. The Board is in charge of the administrative and representative functions of the network. Research Lead: coordination of research projects within the network. Communication Lead: communication of the network which comprises of quarterly newsletters, maintaining mailing lists and social media. Internship Lead: looks for new internship opportunities to propose to the members of the network but also monitors and records activity of the network in this respect. Website Lead: responsible for the maintenance, update and enhancement of the website. How does EuroNet achieve its goals and what has it achieved so far? Connecting Public Health residents through meetings. Internship placements in active members. Developing scientific studies among working groups.